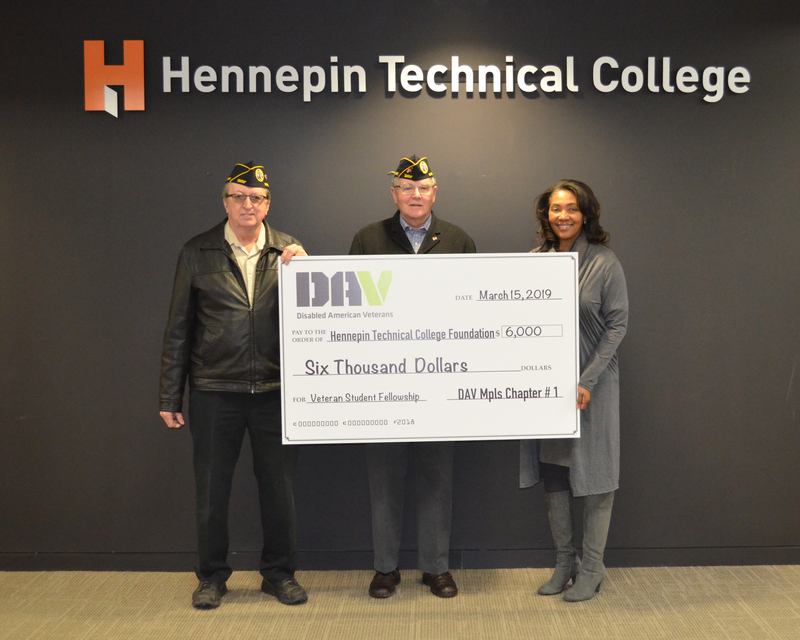 The Disabled American Veterans Minneapolis Chapter 1, Inc. has provided a gift of $6,000 for the Disable American Veterans (DAV) Fellowship; the student fellow must complete an approved project that promotes supervision and management skills, including being held accountable for money. This project is designed to develop the fellows leadership skills. Recipients will be required to present their fellowship project before the general body of the DAV. This year, DAV is providing two fellowships at $3,000 for benefit-eligible veteran students, one at the Eden Prairie Campus and one at the Brooklyn Park Campus. HTC is proud to partner with The Disabled American Veterans Minneapolis Chapter 1, Inc.